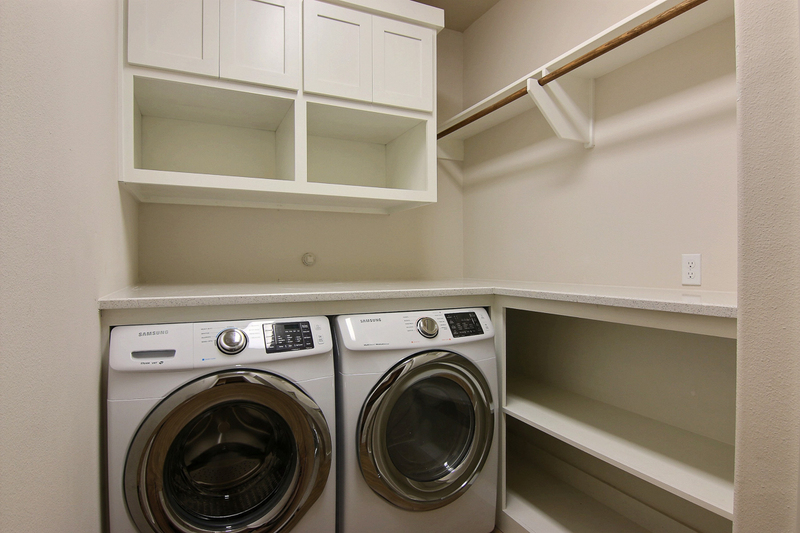 Imagine: a long day with work, grocery shopping, and taking the kids to dance lessons and soccer practice, but now you are pulling into the garage of your new home, and the relief and sheer happiness are overwhelming. 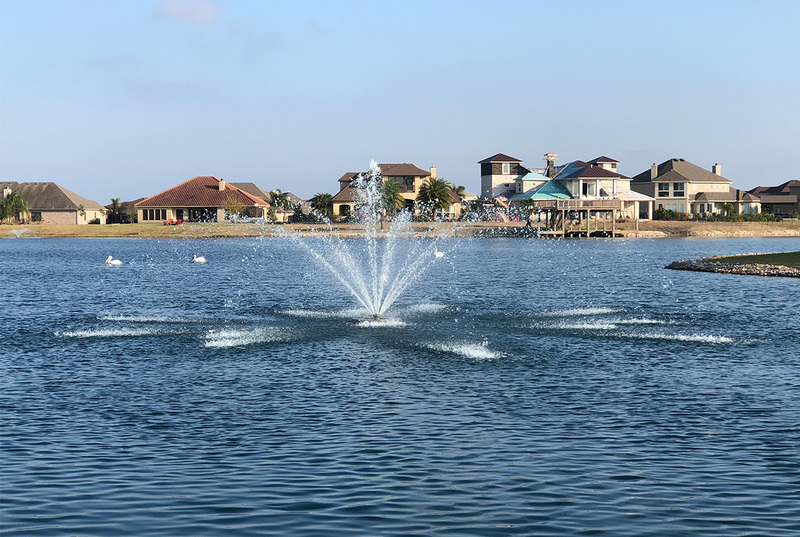 Your dream home in Corpus Christi—next to King Ranch with schools, work, shopping, and the Corpus Christi Bay waterfront nearby—is your oasis of calm, and is all that you could have ever hoped for. 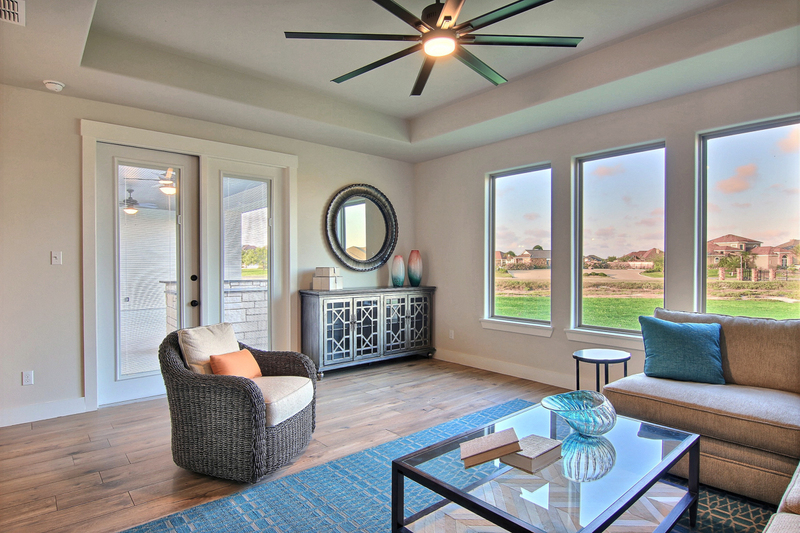 Yet, no need to imagine: this dream home is real and waiting for you, thanks to Live Oak Construction. 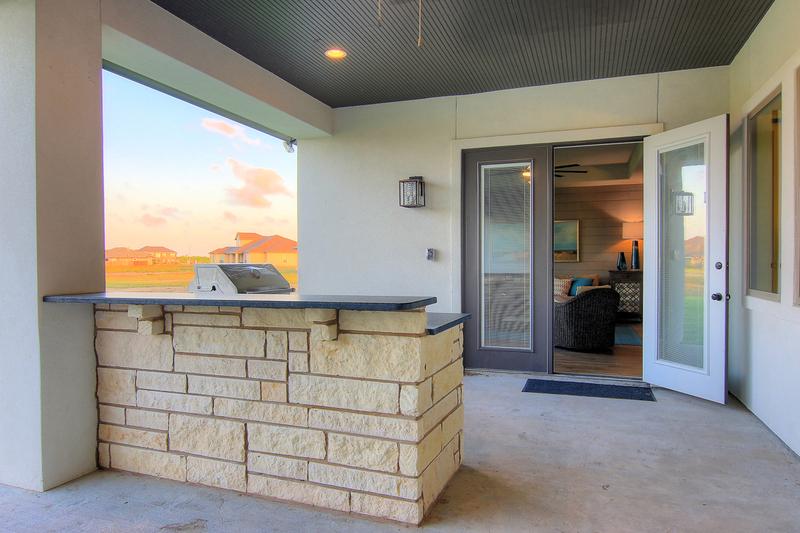 Nestled in the new Unit 3-C in the community of Lago Vista which fronts onto King Ranch and is surrounded by 5 private lakes with clubhouse, pool, over-water deck, and large park, Live Oak Construction’s newest model home at 5902 South Oso Parkway is absolute perfection with 4 bedrooms, 3 baths, a private study, and 3-car garage. 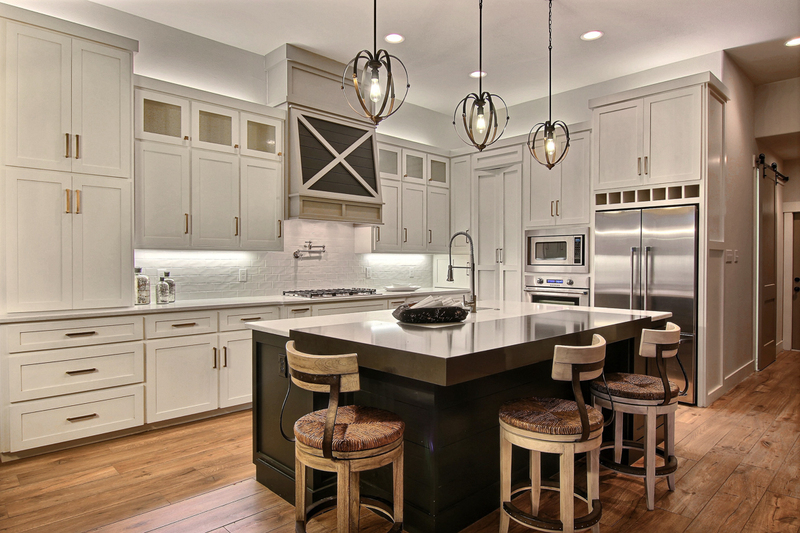 Let’s take a look to see why this home is exceptional…and a 2018 Parade of Homes winner earning five awards in the Large-Size Home Division (Over 2,400 Sq. 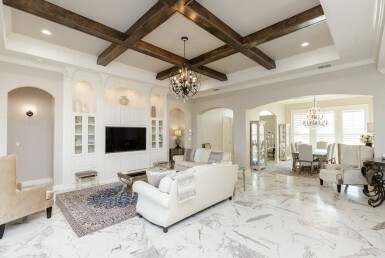 Ft.)! 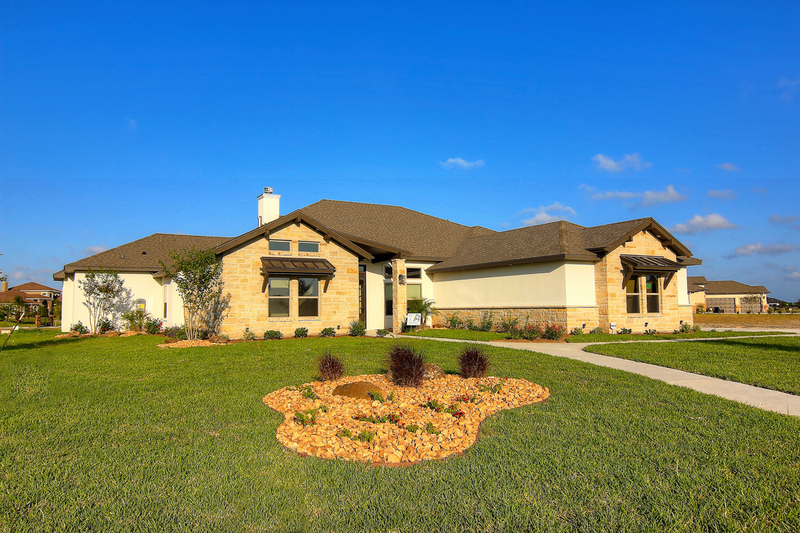 The exterior of this lovely Live Oak Construction home in Lago Vista on a spacious ¾ acre lot is quietly modest: a soft creamy beige river rock and stucco, with dark coffee brown accents. 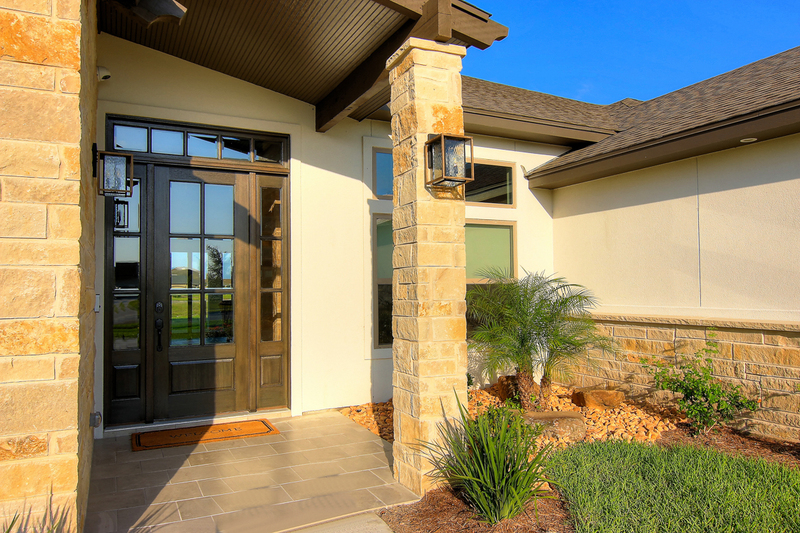 The open portico, with a bead board ceiling echoing the dark coffee color touches, covers an attractive and welcoming glass paneled entrance door. 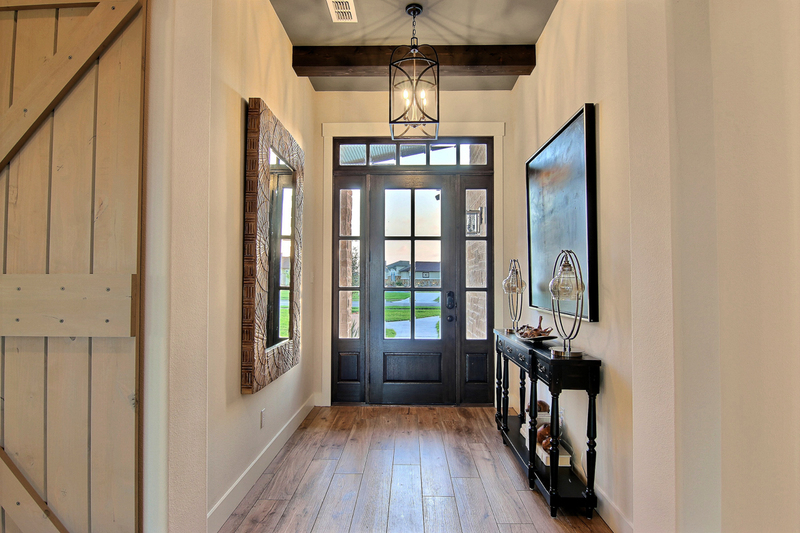 Entering the home, we are greeted by a lofty foyer with dark wood beams and a contemporary gold hanging light. 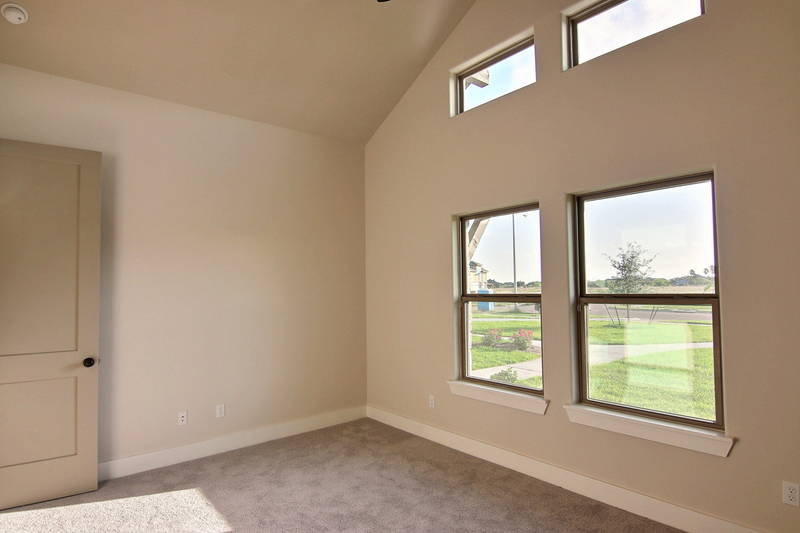 The view straight ahead is filled with a glass wall that contains a sliding door and outsized windows that let in the sunlight. 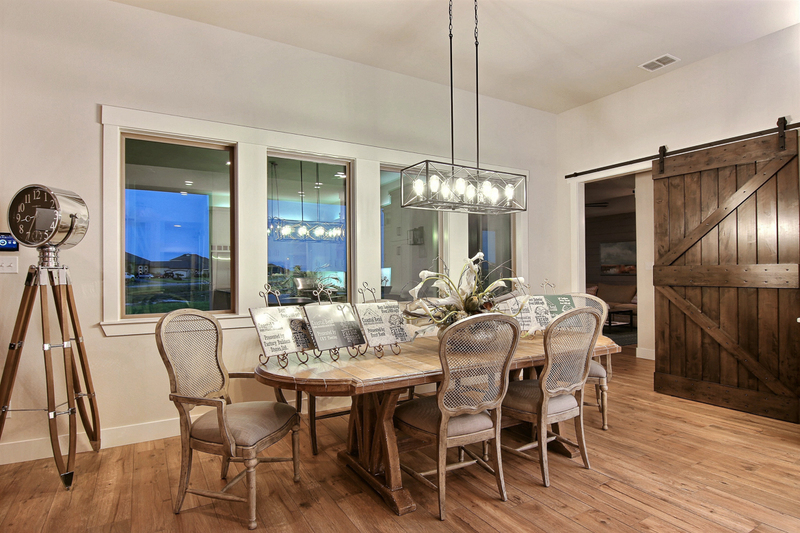 The open concept living, dining, and kitchen is spacious and dreamy. 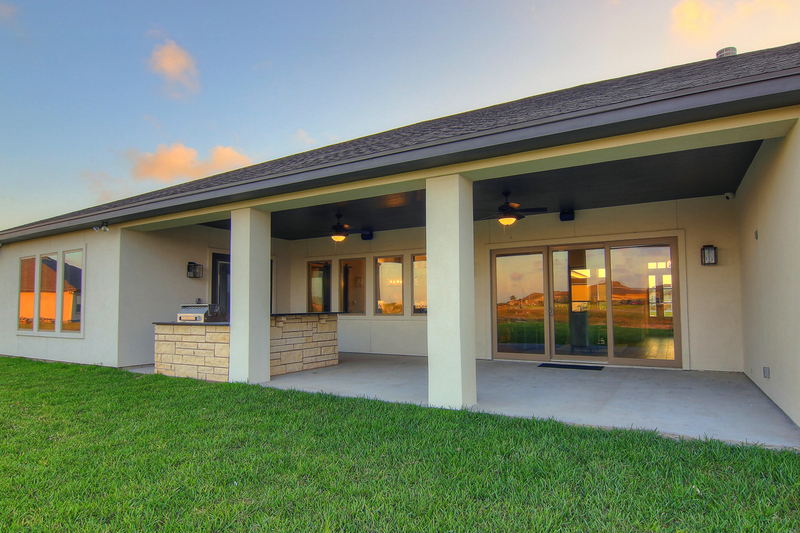 Here is where the exceptional style of Live Oak Construction shines brightly. 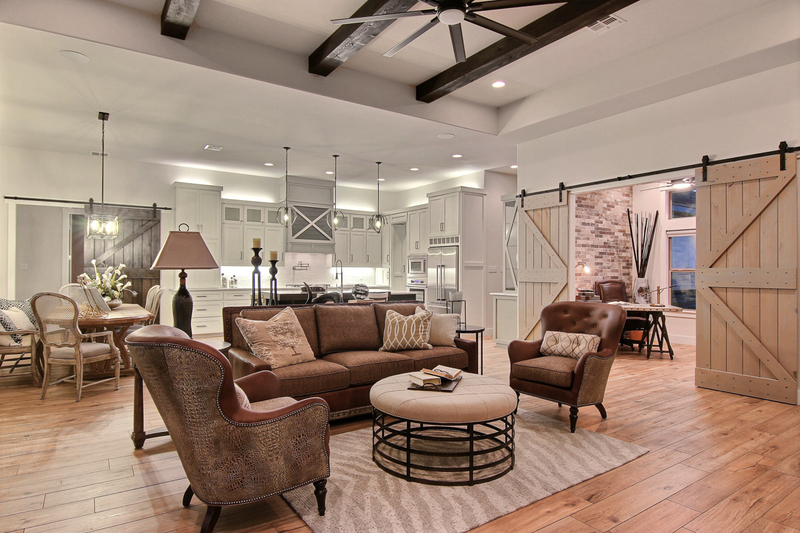 The interior is a modern Texas farmhouse design, with a stunning river rock wall that surrounds a gas fireplace topped by a rough-hewn wood mantle, a large sliding barn door that opens/closes upon a private study, ceramic “wood plank-style” flooring throughout, and dark wood beams inside a tray ceiling with recessed lighting and an immense ceiling fan. 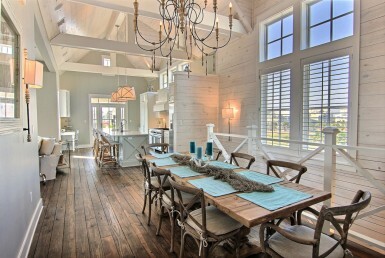 If we walk into the living/dining toward the kitchen, we see a large corner bar area to the right with an exposed brick wall, light wood cupboards with speckled glass, and a wine cooler refrigerator—this entire area is perfect for entertaining or for that relaxing evening cocktail or glass of wine in front of the fire in the winter months. 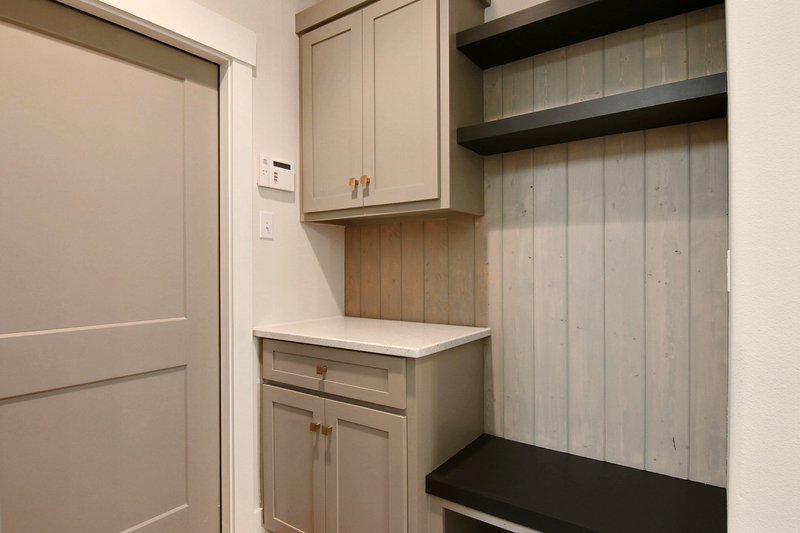 Further along the hallway is a mud area that attaches to the garage, ideal for when the kids come in with dirty soccer shoes, and a large laundry room with built in shelves galore. 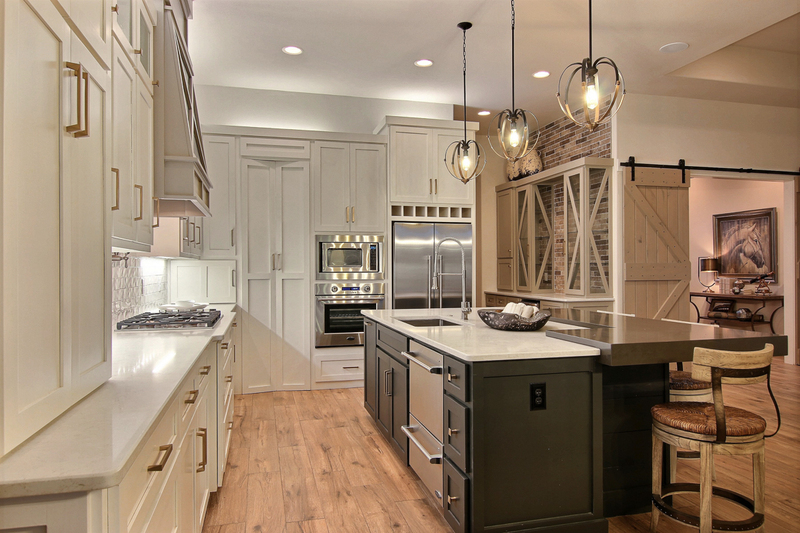 The kitchen is a chef’s delight. 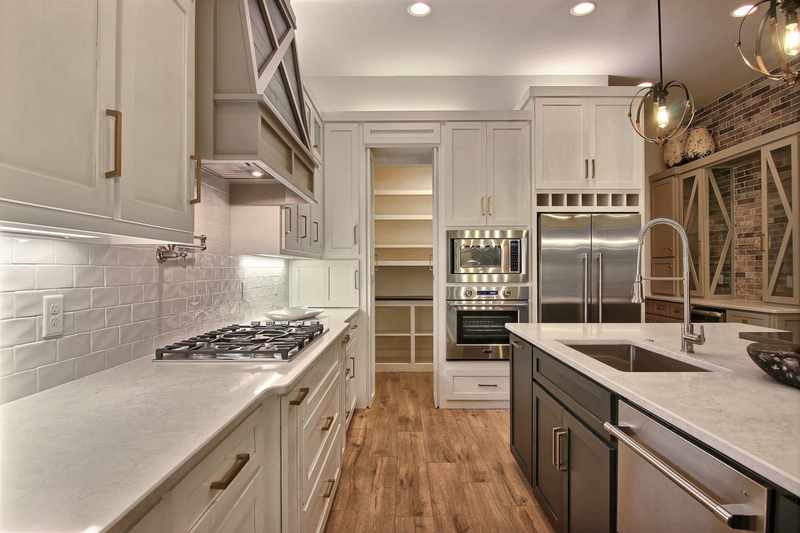 Double wall ovens, a substantial double door refrigerator, a large eat-on island with a deep stainless farmhouse sink, a gourmet gas cooktop stove with a pot filler, a multitude of tall kitchen cabinets with recessed lighting on top, crisp white subway tile backsplash, creamy white marbled ceramic countertops with under-counter lighting, and a walk-in Butler’s pantry with plentiful shelves. 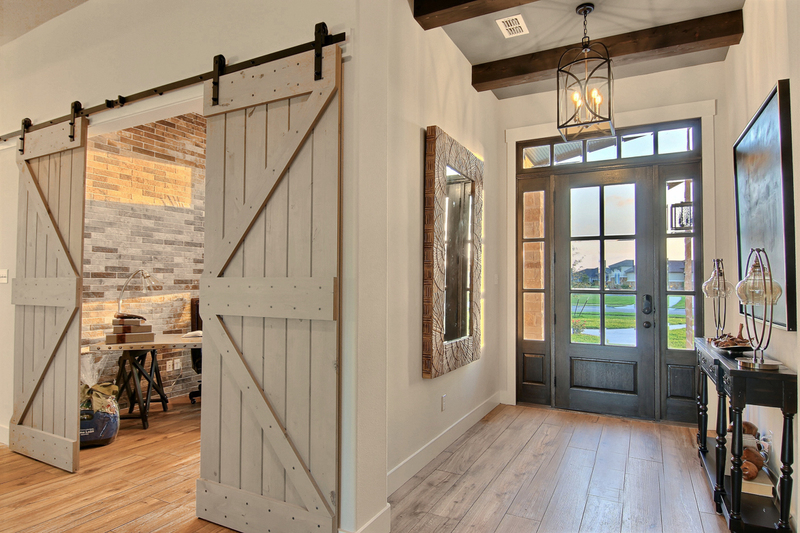 Past the kitchen and open seating dining area, a large sliding barn door heralds an entrance to a secluded suite of rooms that can do double duty: as a guest retreat complete with living area, private bedroom, and full bath, or as a playroom/game room/party room and office. 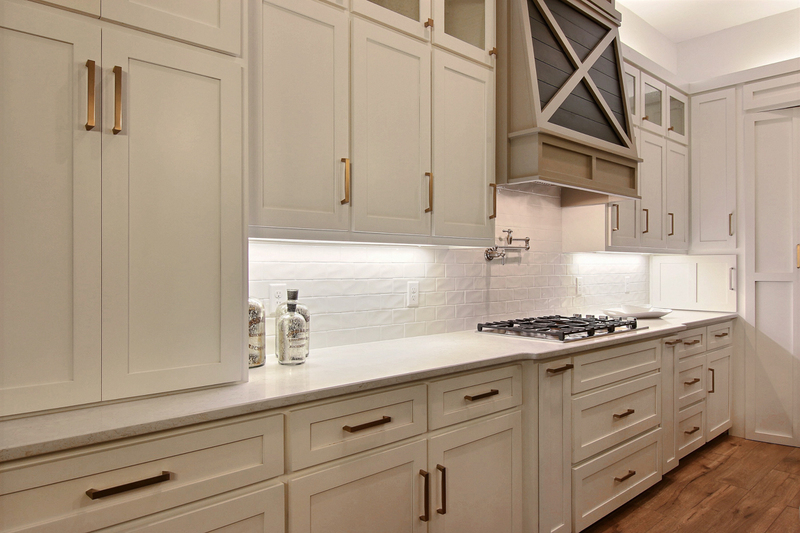 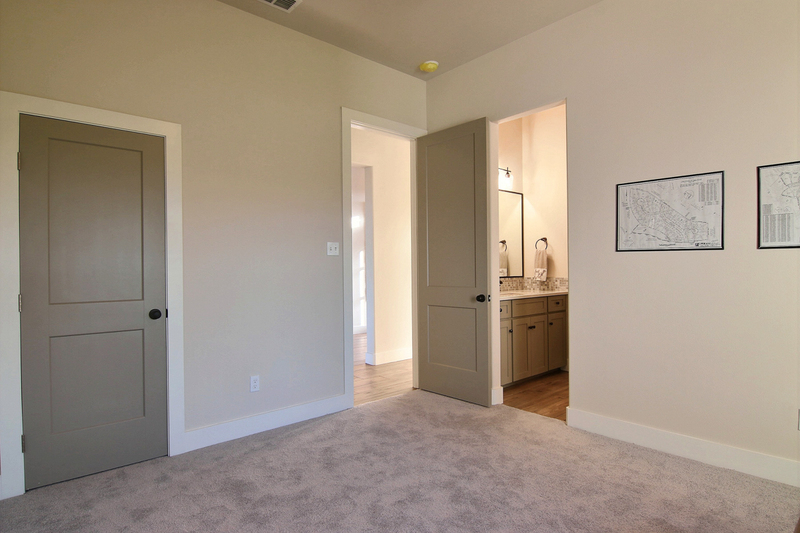 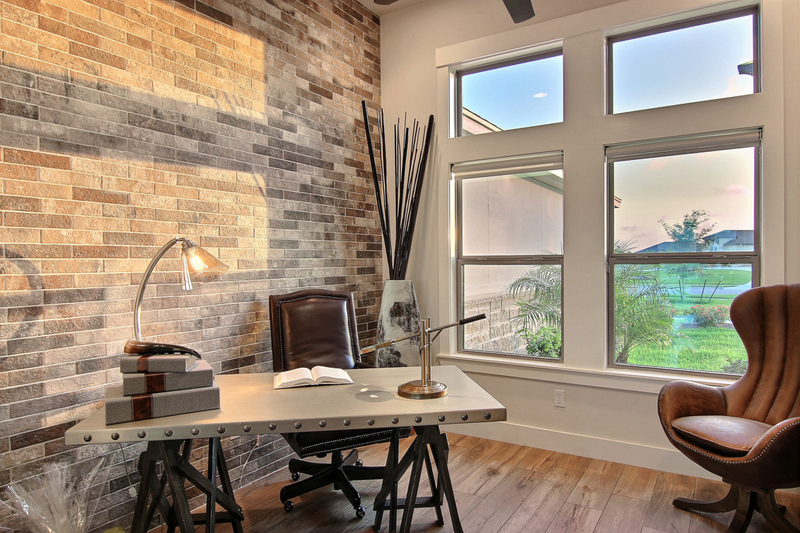 Live Oak Construction decided that multi-purpose areas in a new home are the way to go. 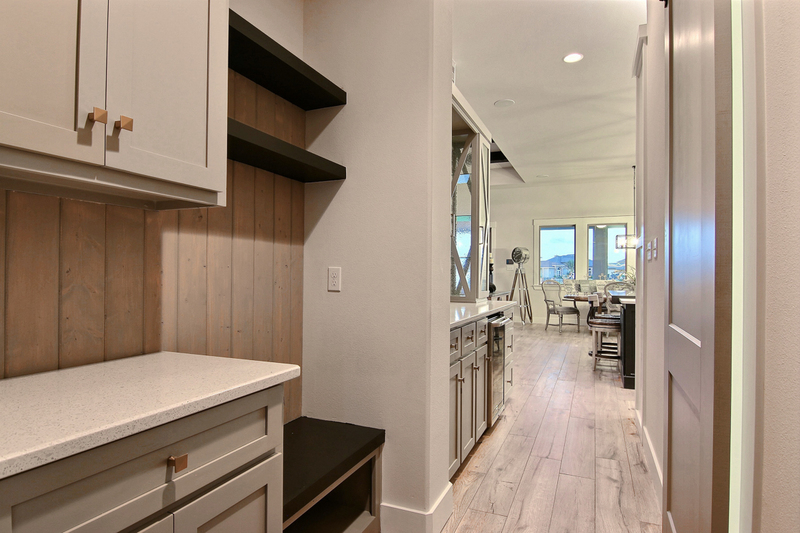 They even included another wine bar area in this space…just in case! 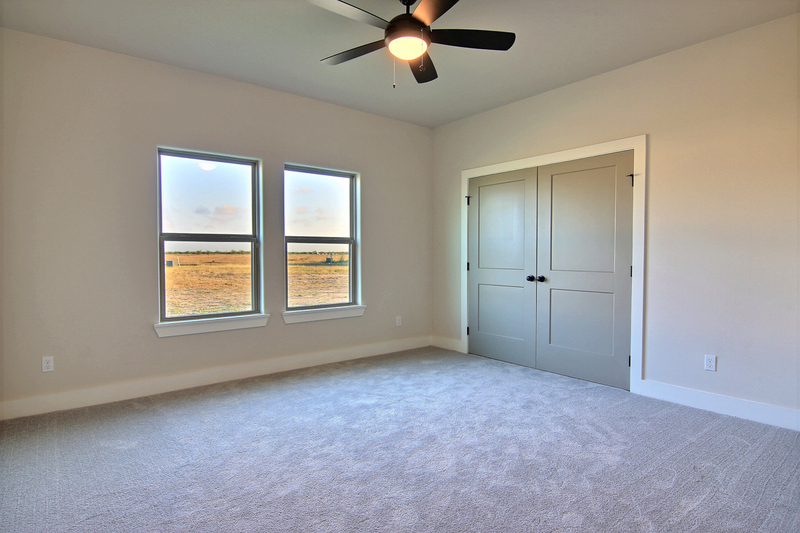 The opposite side of this lovely split bedroom Texas farmhouse designed home, the entire left wing, contains the remaining 2 bedrooms and a stunning Master suite. 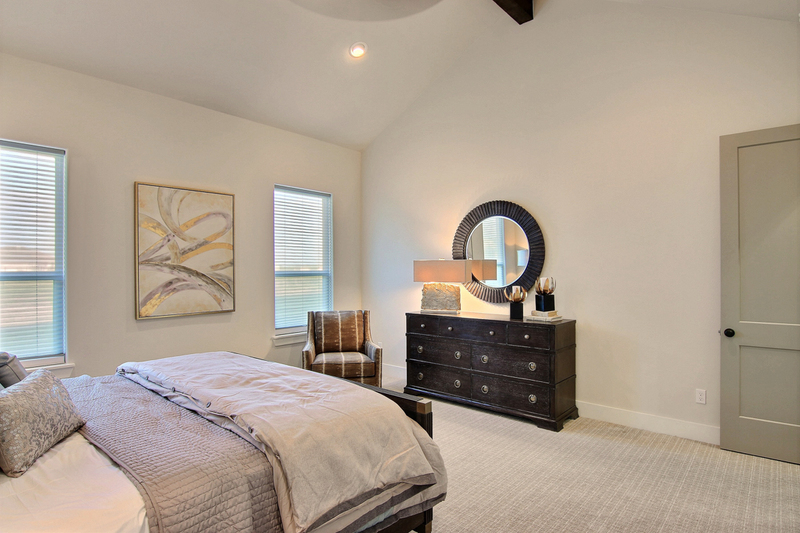 The front bedroom has a cathedral ceiling with wood beams, ceiling fan, clerestory windows, and a sizeable walk-in closet. 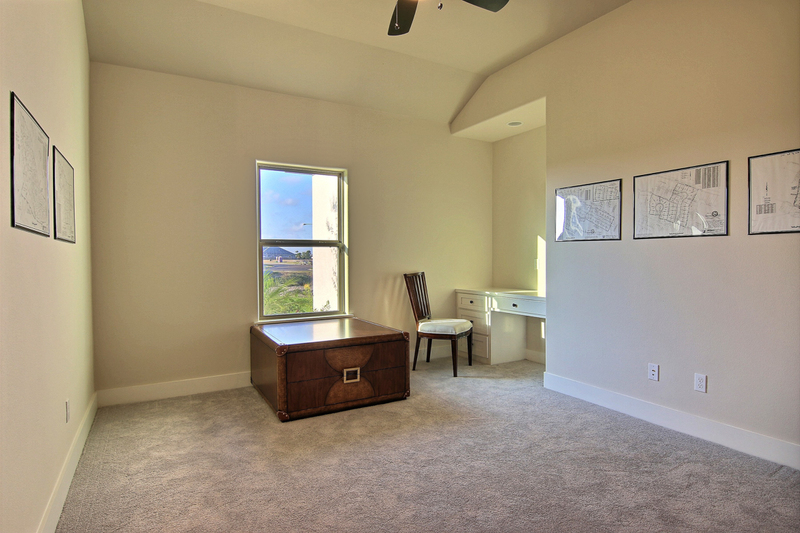 The second bedroom has a built-in desk for study time and large closet. 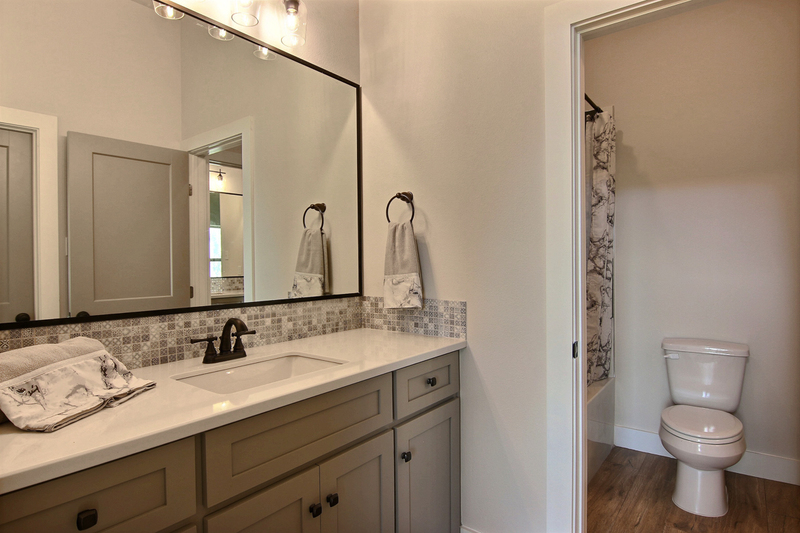 An unusual feature that sets this Live Oak Construction home apart is a delightful three-room Jack and Jill bathroom between these two front bedrooms. 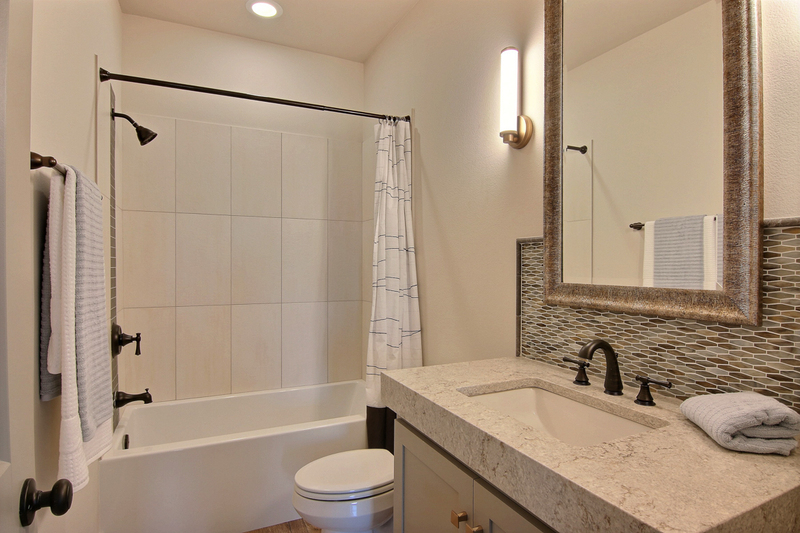 Two of the bathroom areas have a large sink, countertop, and cupboards for storage, and in between is a magnificent bathtub/shower with a large soaking tub surrounded by dramatic rectangular tile work. 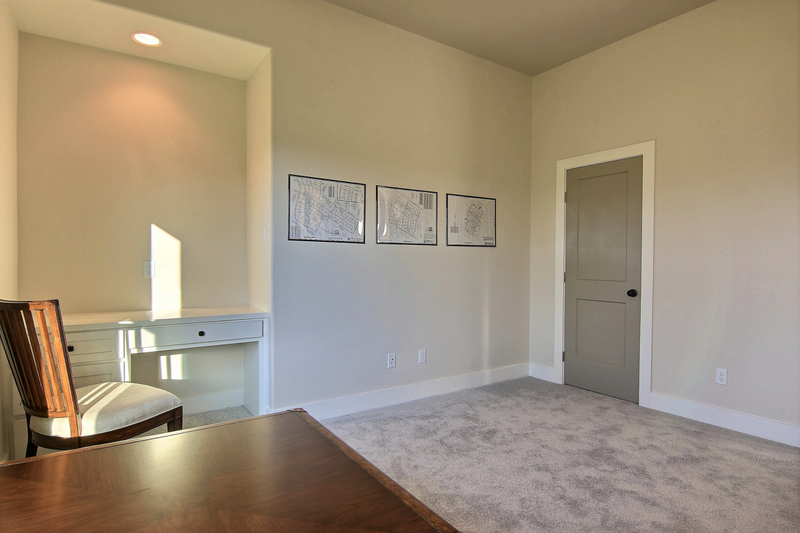 The Master bedroom, a private oasis separated from the two front bedrooms, is at the rear of the house and has its own hallway. 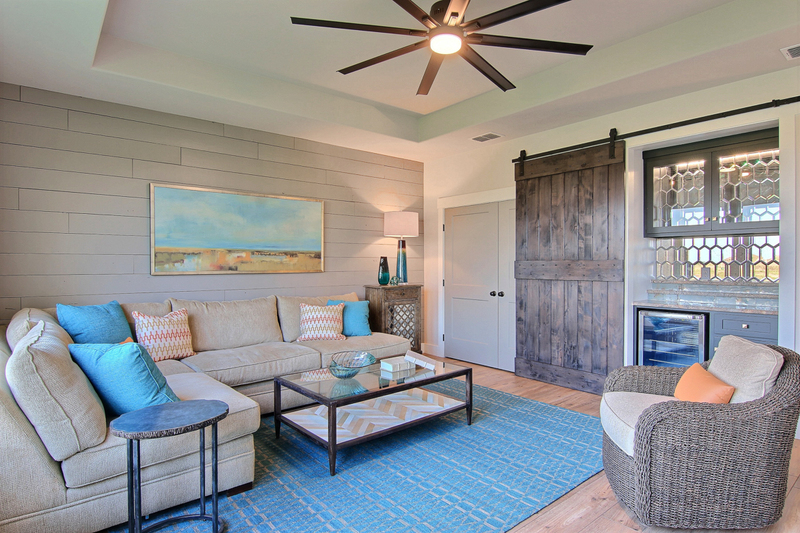 The Master is spacious with a cathedral ceiling topped by a massive wood beam and ceiling fan. 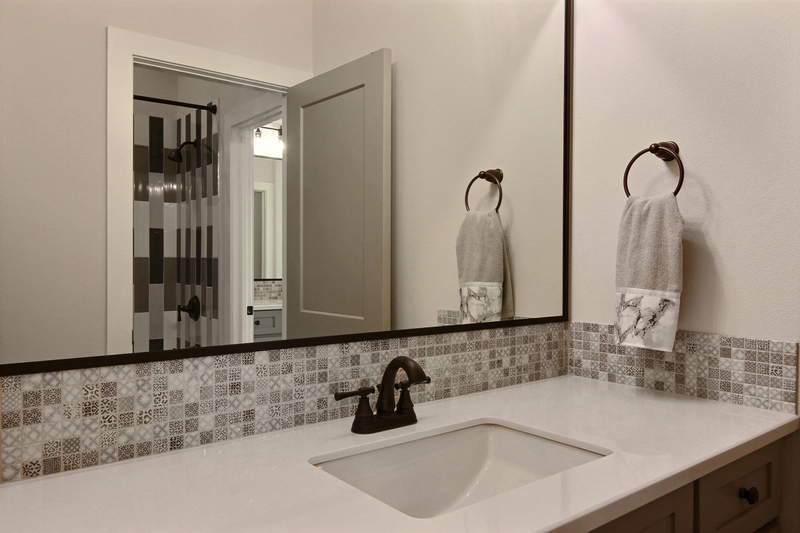 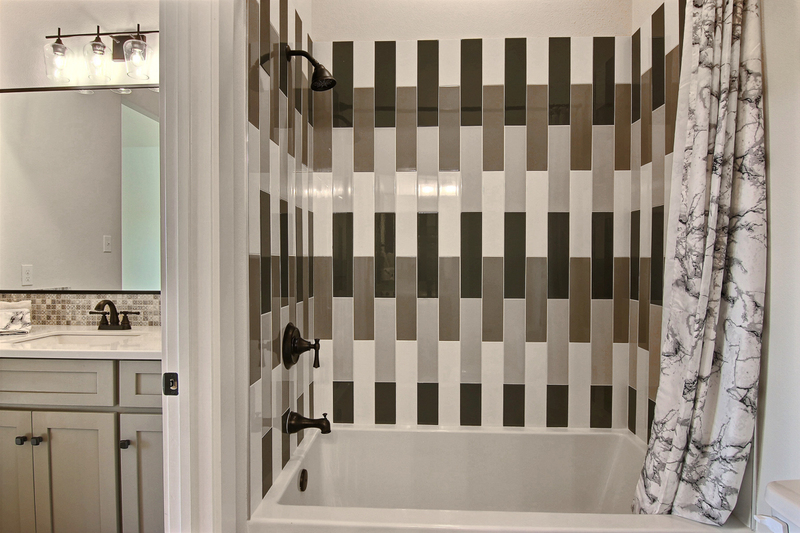 And then there is the Master bath: the home’s pièce de résistance. 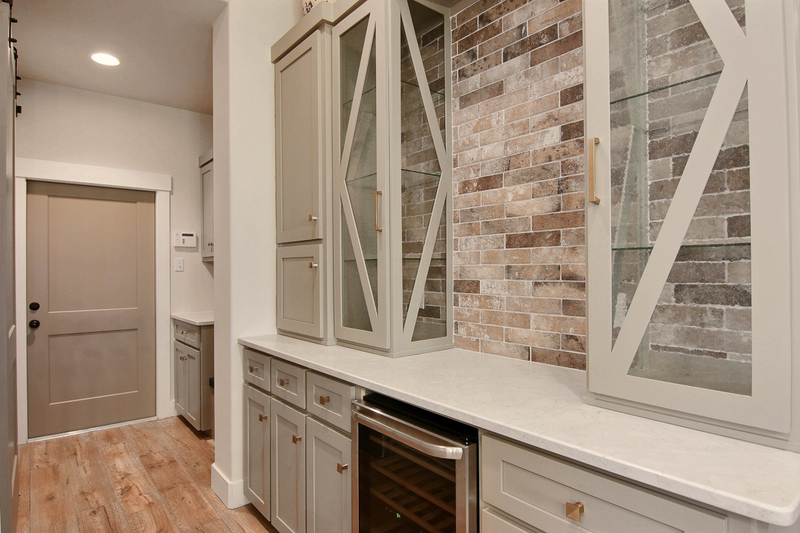 Ceramic wood-look planks line the walls half way up to give a farmhouse feel. 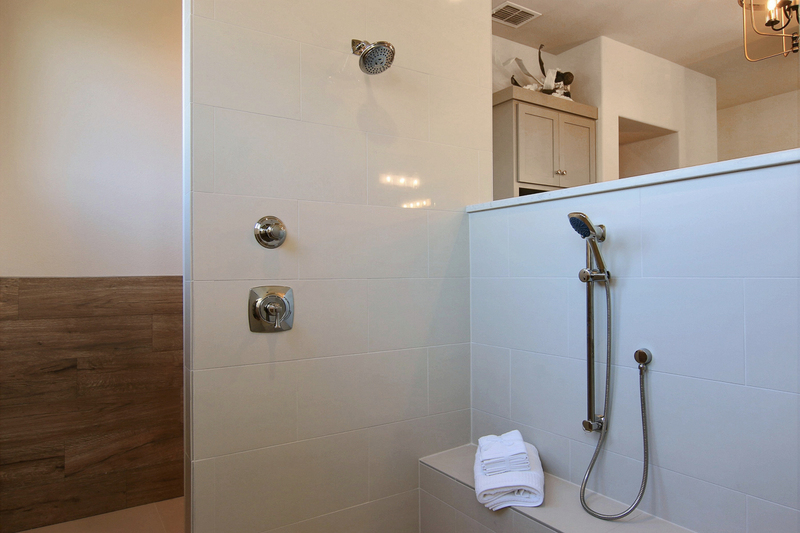 On one side, separated by a ceramic tile ½ wall, are His and Hers showers with rainfall showerheads. 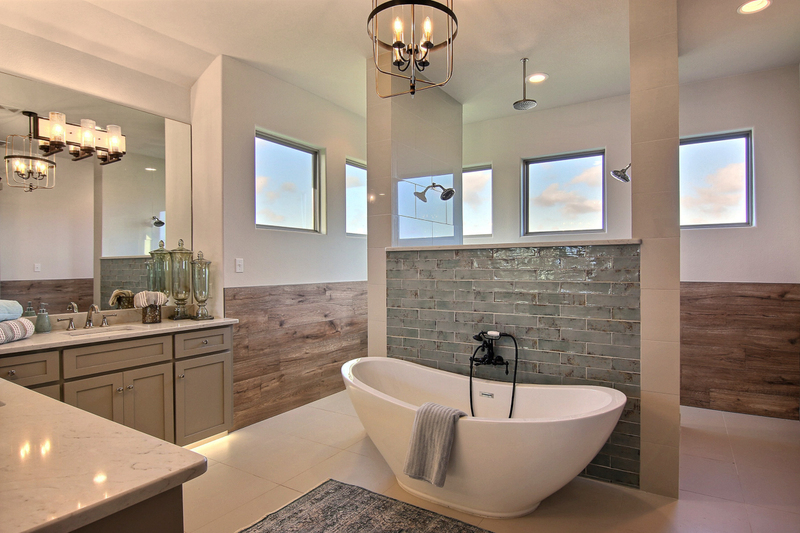 One the other side of the wall: a stunning oval soaking tub, along with separate His and Hers sinks with full mirrors and under-counter lighting. 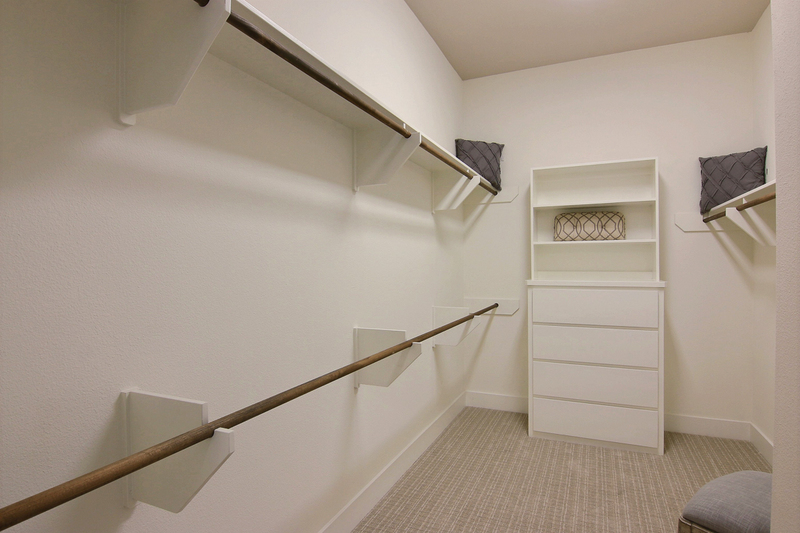 Finally, the Master bath has His and Hers separate sumptuous walk-in closets with shelving and built-ins. 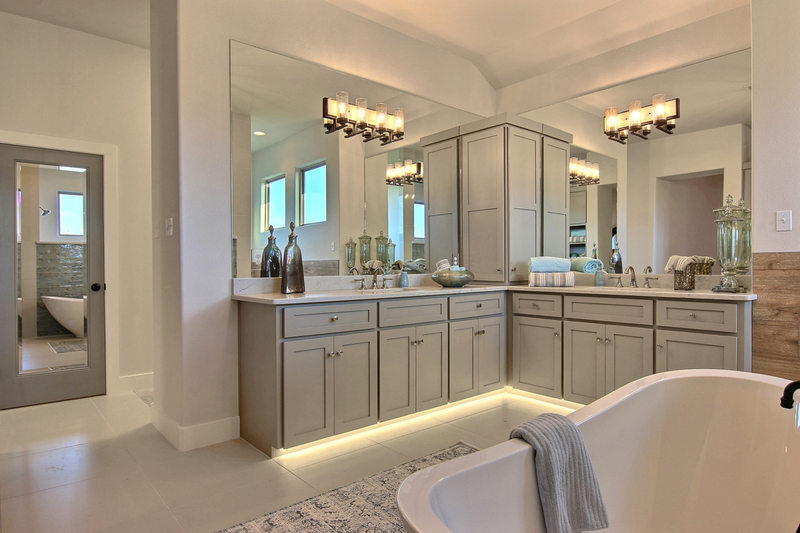 The entire private suite—Master bedroom and bath—is definitely a peaceful retreat after a hectic day. 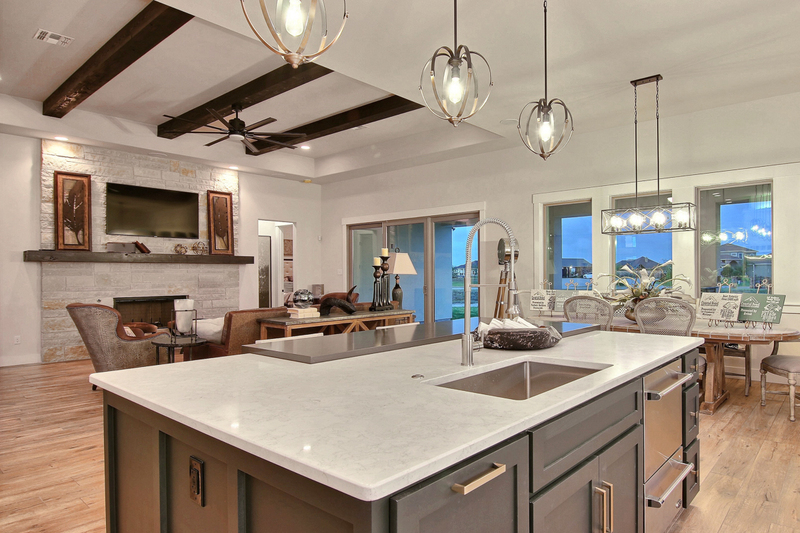 Live Oak Construction won a total of five awards in the 2018 Coastal Bend Parade of Homes for this exquisite model: Best Interior, Best Kitchen, and Best Floorplan are three of them. 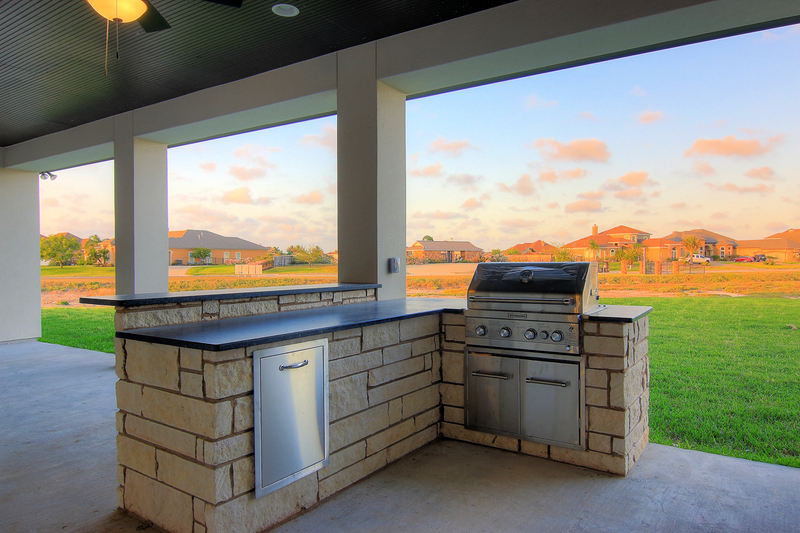 Two other awards were received for Best Landscaping and Best Exterior, so we cannot forget to mention the fabulous outdoor kitchen and covered patio in the back of the home, perfect for entertaining and weekend barbeques or watching the morning sun rise over the serene countryside. 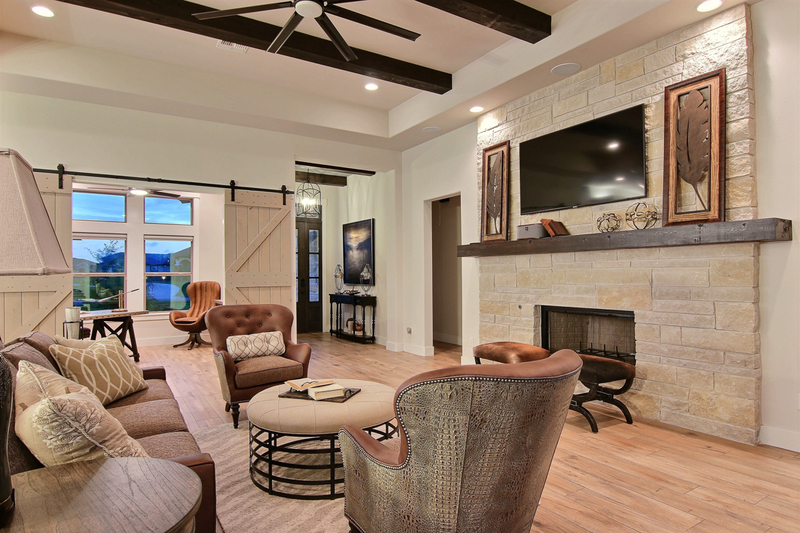 This mid-$500s 4 bedroom + study/3 bath home thoughtfully designed by Live Oak Construction is an absolute delight, inside and out, and worthy of its five awards in the 2018 Parade. 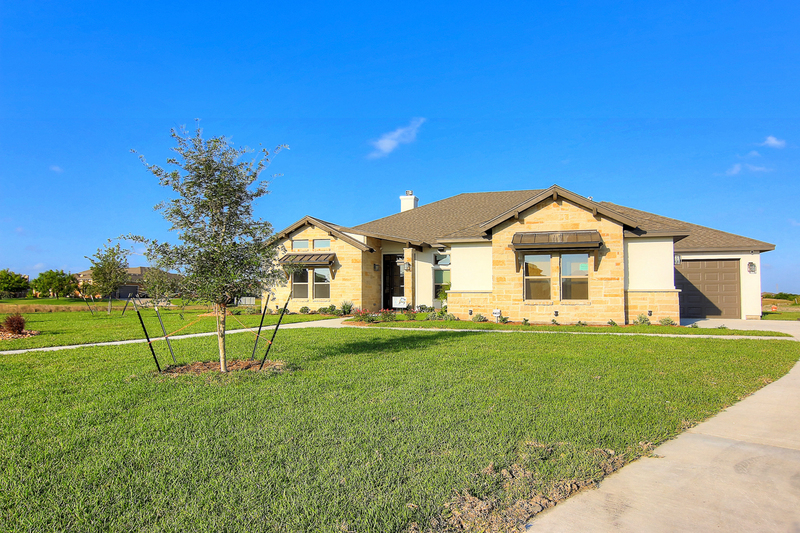 And here is the kicker: you can own this award-winning home, or one like it, by calling Live Oak Construction at (361) 850-9153, or visiting their website or facebook page. 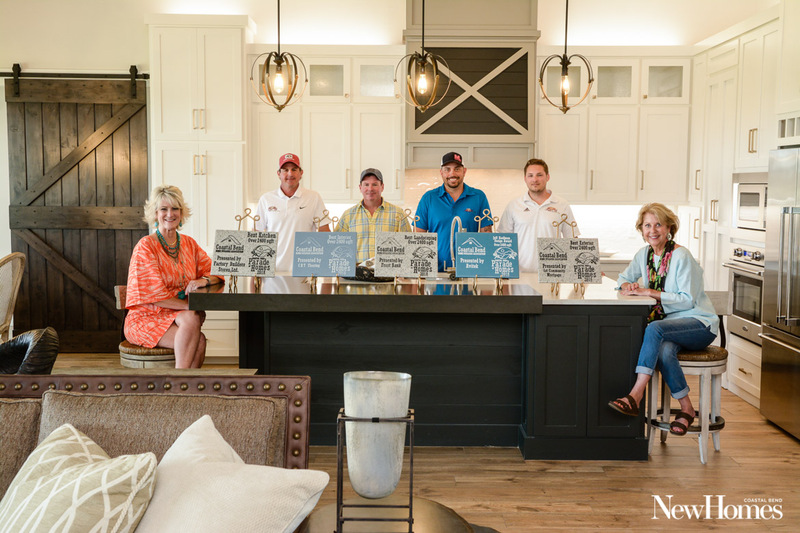 L-R: Shelley Greaney, Richard Voss, Bryan Hefferan, Blake Mings, Casey Mengele, and Betty Voss. 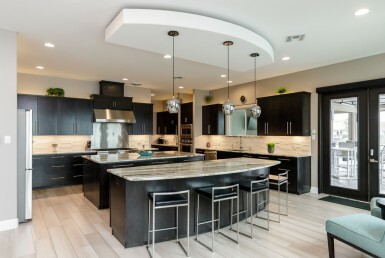 Photography by: IDI Virtual Tours & New Homes Guide.